Agriculture Secretary Sonny Perdue said in a statement on Friday before the holiday weekend that despite the shutdown, “critical services” such as law enforcement, services protecting life or property, or services that are already covered with available funding will continue. 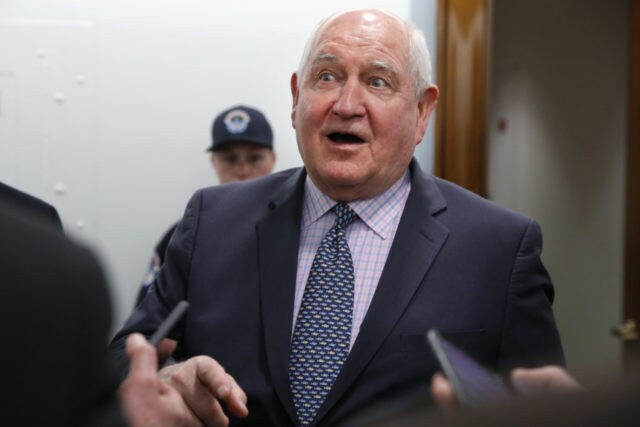 “There may be a lapse in funding for the federal government, but that will not relieve USDA of its responsibilities for safeguarding life and property through the critical services we provide,” Agriculture Secretary Sonny Perdue said in a statement. Sixty-one percent of USDA employees are expected to remain at work during the first week of the shutdown, according to the statement. But fewer employees are expected to remain on the job if the shutdown goes on for a longer period of time. One of the USDA offices that is expected to see the most drastic cuts in staffing during the shutdown is the office of Food and Nutrition Services— which oversees the nation’s welfare programs like the Supplemental Nutrition Assistance Program (SNAP), Child Nutrition, and the Special Supplemental Nutrition Program for Women, Infants, and Children (WIC). The Food and Nutrition Services office is expected to slim down 95 percent of its operations, leaving only 5 percent of the office’s 1,493 employees on board, according to the USDA document outlining shutdown plans. The office’s website— like many other USDA websites— displayed a message stating that its website would not be updated until the government fully re-opens. “Due to a lapse in federal funding, this USDA website will not be actively updated. Once funding has been re-established, online operations will continue,” according to a statement displayed on the USDA’s Food and Nutrition Services website. I am not in the office at this time. I am on furlough without access to email, due to the lapse in federal government funding. I will return your message as soon as possible once funding has been restored. Even with the decrease in staffing, the USDA notes that all eligible households would receive SNAP benefits for the month of January. According to the latest USDA data on food stamp enrollment, 19,395,894 households are currently enrolled in SNAP. Other welfare assistance programs would still be able to continue at the state and local levels with the funding that is already available, and Child Nutrition Programs— like the school lunch program— are funded through February and will operate as usual.